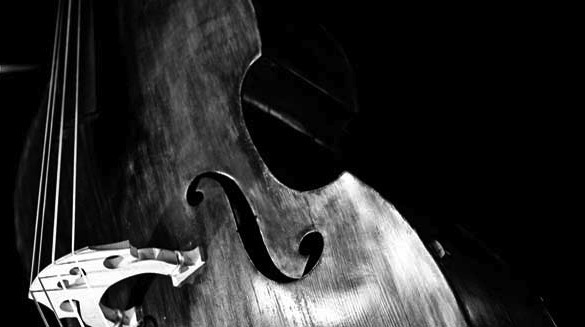 Join us for the two-day Phoenix area Double Bass workshop and competition. This is a prime opportunity for the young double bassist from the Southwest, to work with the top Phoenix area professional double bassists, the double bass professors from the three state Universities in Arizona, and have a chance to show-off their skills, through a solo double bass competition. The 2018 Bass Jam starts in the evening of November 30, with a solo competition for two age groups: the Junior division (Grades 6-8), and the Senior division (Grades 9-12), where are prize awards for the 1st, 2nd, and 3rd place winners of their prospective performance divisions. Saturday morning December 1st will start the group performance aspects of the Bass Jam. Here, you will have the chance to collaborate with new musicians, and make new friends that can last a lifetime, while working on improving yourself as a double bassist. There are five different skills levels, ranging from “beginners,” all the way to the “obnoxiously advanced,” and so all skill levels are guaranteed to be accommodated. Each of the separate groups are taught by professionals, and the students will develop their technique, and as well learn new skills, through technical exercises, and double bass ensembles. In the higher end technique groups, these students will also have the opportunity to work on the excerpts for the Arizona High School Regional Orchestra audition, with the top professional orchestral double bassists in the Phoenix area. The Saturday morning session, will then culminate with an informal recital in the afternoon, where each of the groups will perform as an ensemble, the winners of the Friday solo competition will perform, and a few secret surprise performers that are guaranteed to inspire you to greatness! Solo Competition Information – Friday, November 30, 2018, 5pm-7pm, Organ Hall, ASU School of Music. Junior and Senior Division Participants will prepare a solo for String Bass of their choice. Solos written with piano accompaniment must be performed with accompaniment. Entrants must provide two copies of their music for the judges. Winners will be announced following the last competitor’s performance. There will be two Jr division winners and two Sr division winners. Competitors must live in Arizona and participate in Saturday’s events. This competition is a closed performance: for participants and judges only. Using the descriptions below, consult with your teacher to determine your performance level. Participants will be divided into five levels. Level I: Advanced Bassists, able to perform in upper positions and able to read tenor clef. Level 2: Bassists comfortable with all positions to first octave harmonic (sixth position). Level 3: Bassists comfortable with the notes in First, Second and Third positions. Level 4: Bassists with a firm understanding of First and Half position notes on all strings. Level 5: Bassists who began during the summer of 2016 or current school year.